‘Snow White’ a traditional tale. Snow White is a beautiful young princess whose jealous stepmother, the Queen, tries to have her killed: but the kindly huntsman lets her escape into the woods. 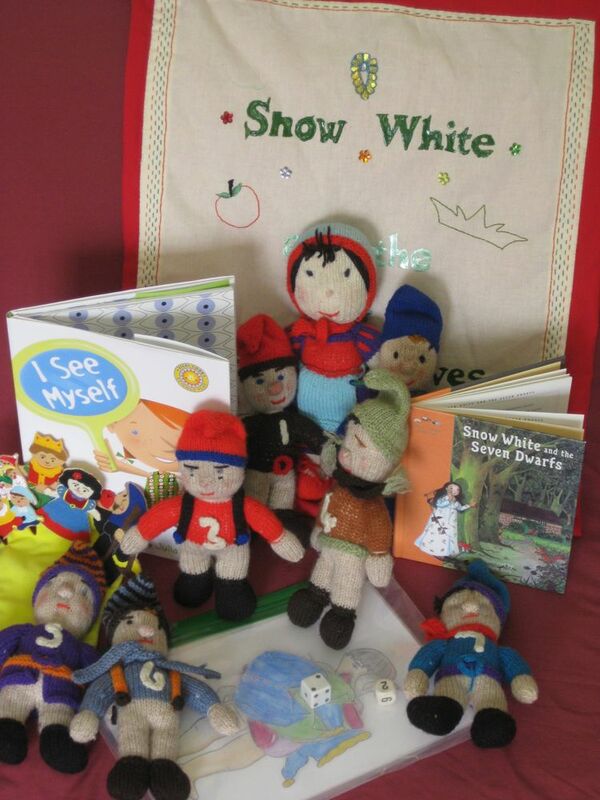 Snow White finds a new home with the seven dwarves…. but she is not safe yet, the Queen is still after her! * Made by Miss Simporis’ Year 1 class in 2009, sponsored by Boden UK.